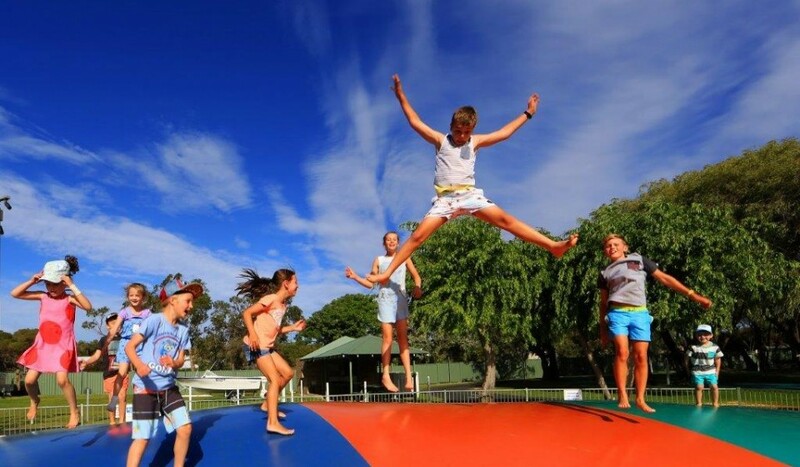 Jumping Pillows® is the only brand certified to AUS and NZ Standards AS3533. This is equivalent to Jumping Pillows TUV Standard registration in Europe – one of the most respected certification standards in the world. 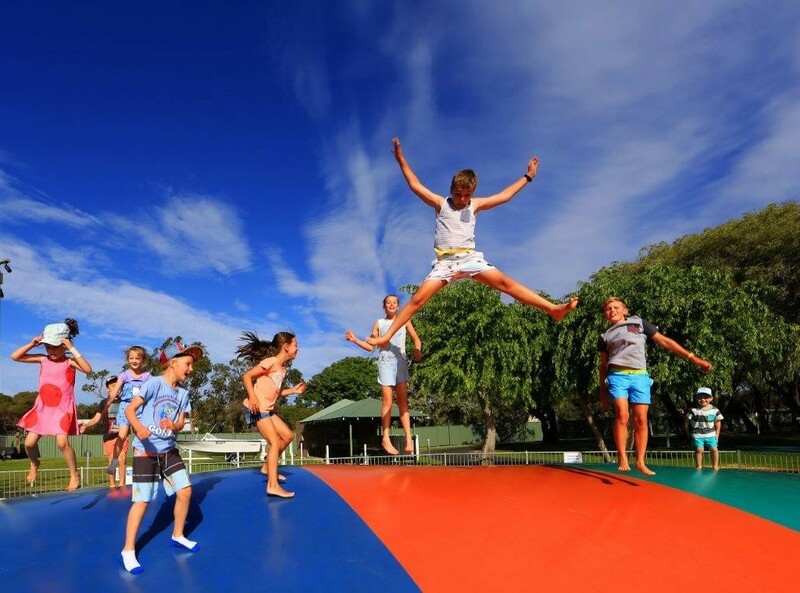 In Australia and New Zealand, Jumping Pillows® have been a huge success especially with resorts and holiday parks. They are also widely used in playgrounds, amusement parks, kindergartens, schools and sport clubs. You will often find children and adults playing together on the Jumping Pillows® all day long. 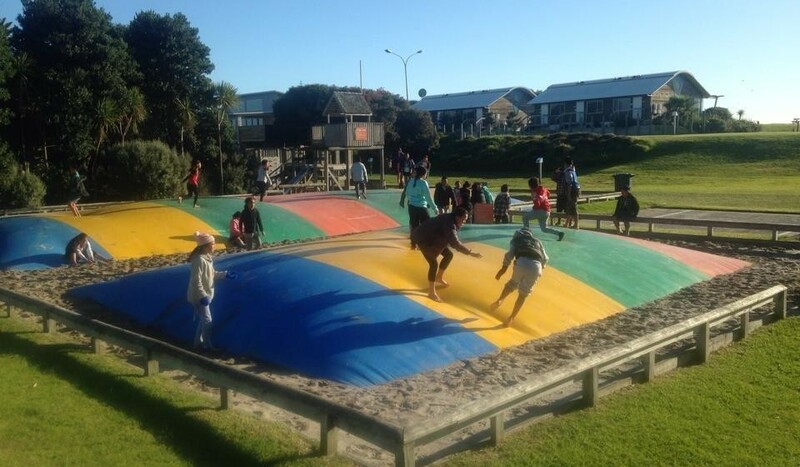 It is also amazing to see how long children – and adults stay on the Jumping Pillows®. Create the perfect all-weather facility by putting a roof or shade sail over your Jumping Pillow®. We can provide a variety of options for covering you Jumping Pillows. 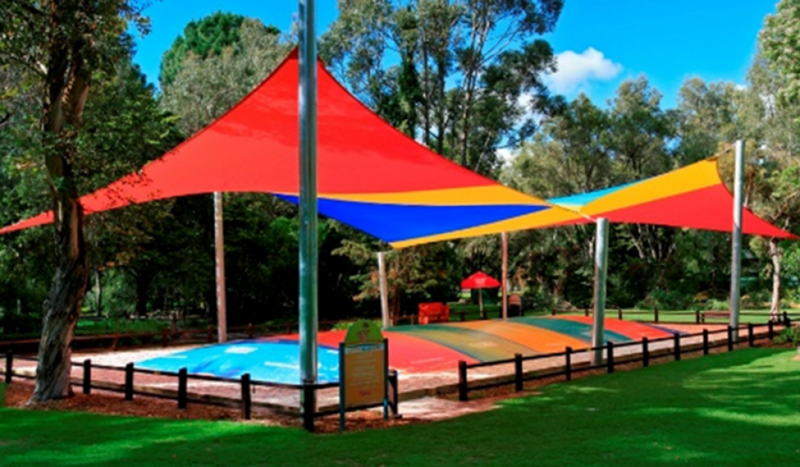 We manufacture and install waterproof or shade only shade sails. We also erect engineered steel structures to span the pillow and these are covered with long-life PVC. These are specifically designed for your site.